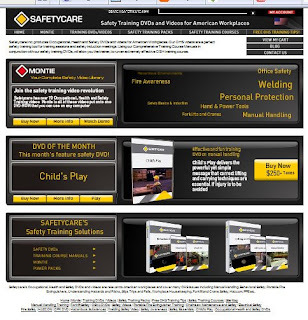 Workplace Safety Blog | Safetycare | Safety Training Videos | Free Safety Pictures and Resources: Please visit our online Safety Store! Please visit our online Safety Store! Please visit our site where you can browse or purchase Occupational Health and Safety DVDs and training courses. We have also got Multi Packs and Power Packs to offer you a total training solution for a great price. Also on our site you'll be able to learn about our comprehensive video library Montie, get free daily Training Tips and Icebreakers, watch a sample of our DVD of the month and more! Click here to check it out! We have just reached 2000 subscribers!